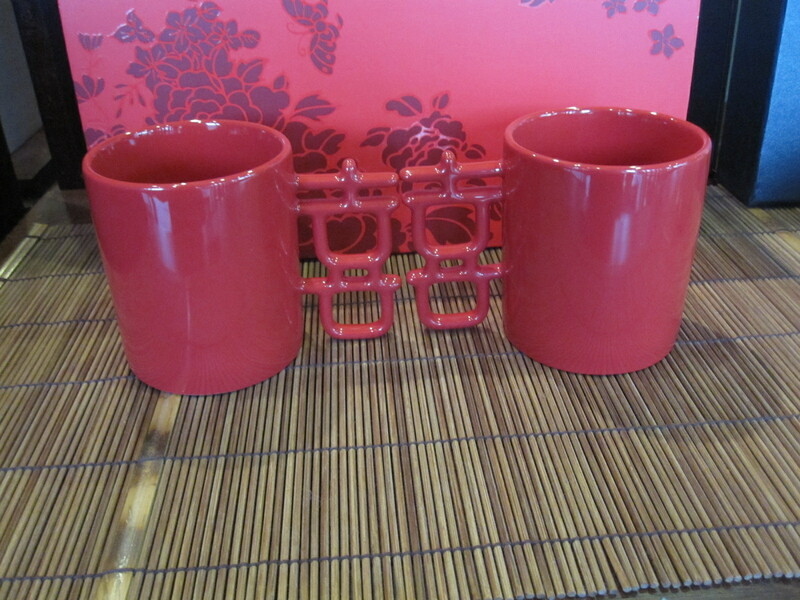 Yingge is a town in the NewTaipeiCity that has long been famous for its ceramics production. 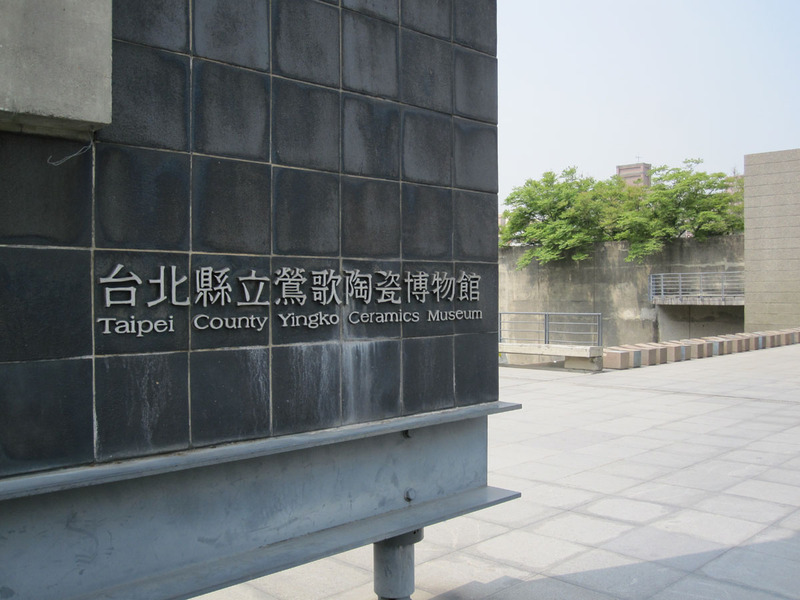 The Yingge Ceramics Museum opened in 2000. 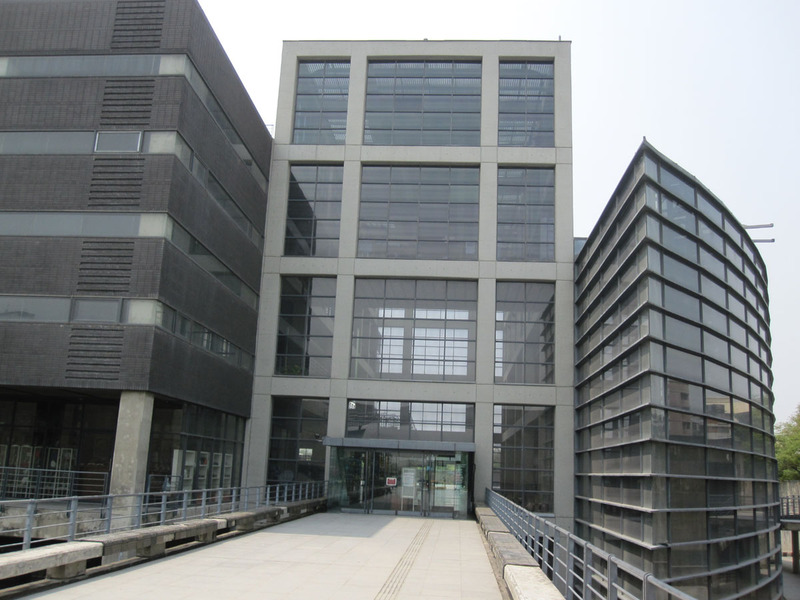 The design of building is very modern. The mainly lobby is a four-story high open space with lot of natural lighting. 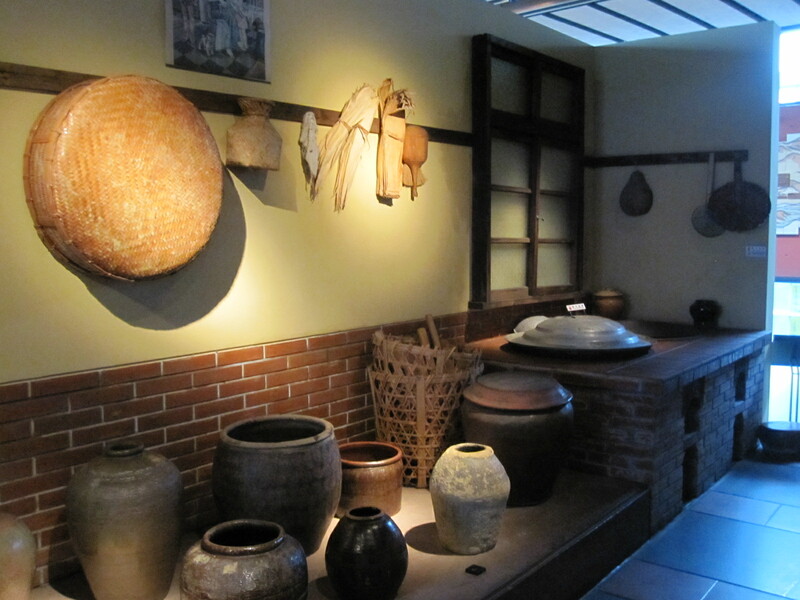 The museum has exhibits that tell the history of ceramics. 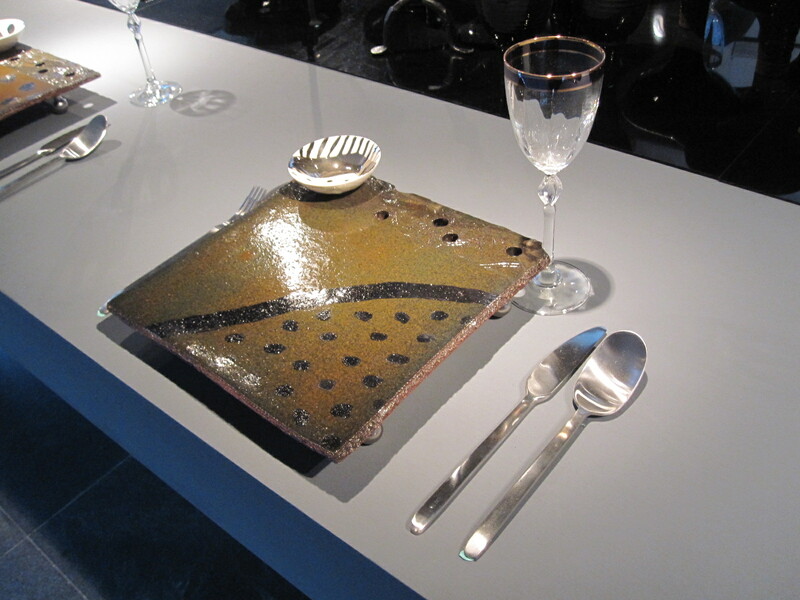 It also has changing exhibits displaying modern works. 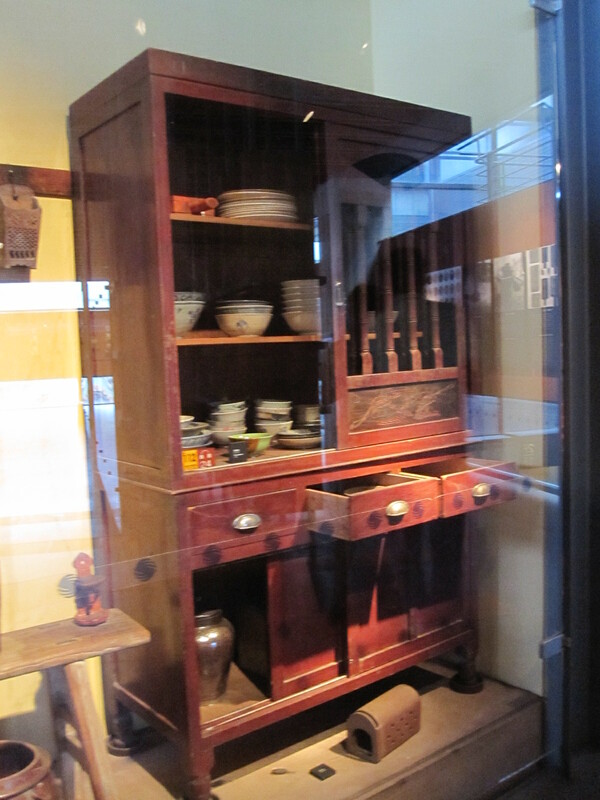 A Typical Kitchen in the Old Days. 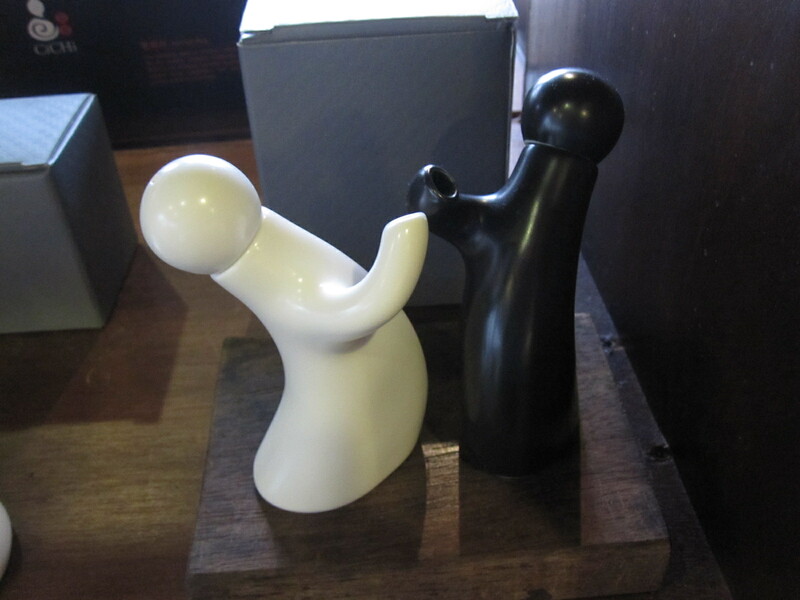 The gift shop is filled with unique ceramic products. This was my personal favorite! 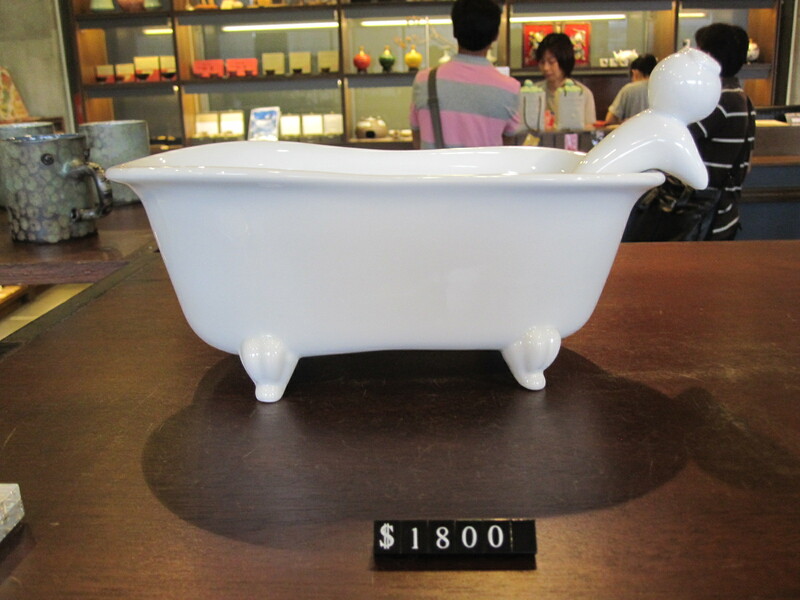 The bather is actually a spoon! 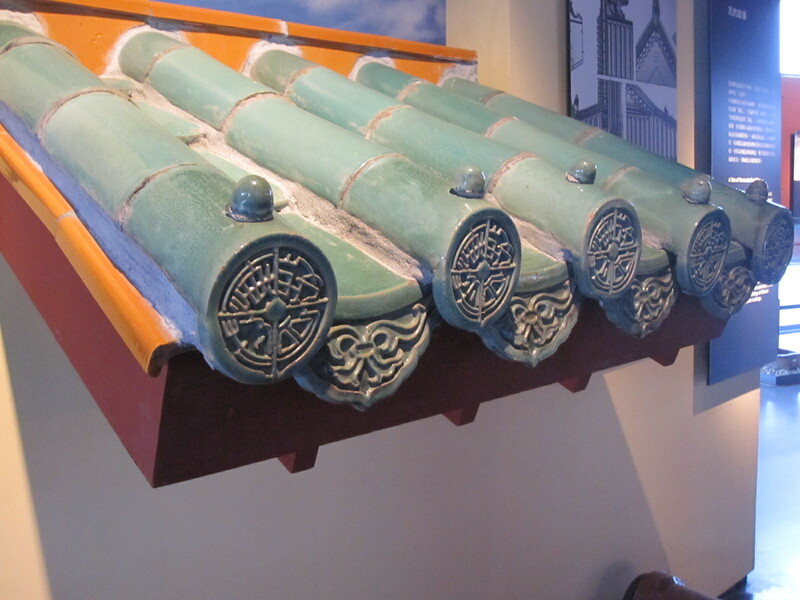 The building behind the museum is the visitor center that is also a store showcases products from local artists. 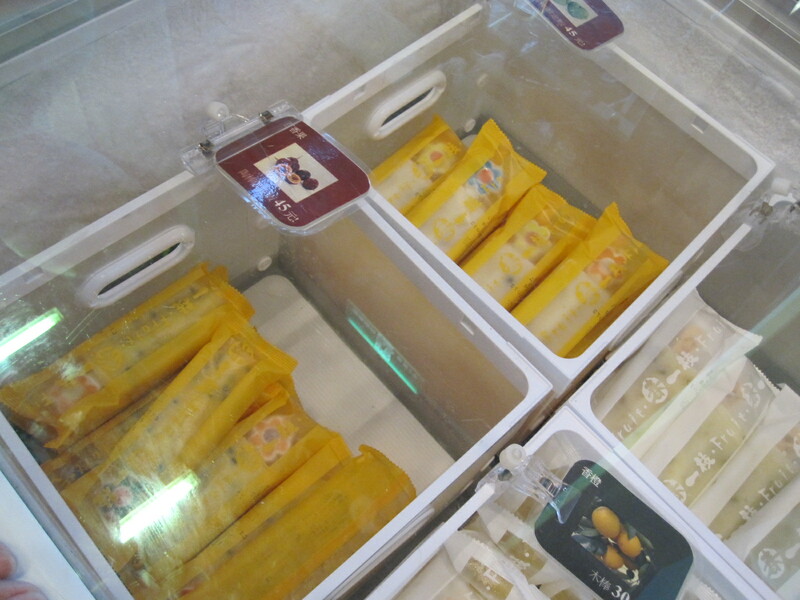 The popsicles sold here are special because the sticks are plastic forks with little ceramic decorations! 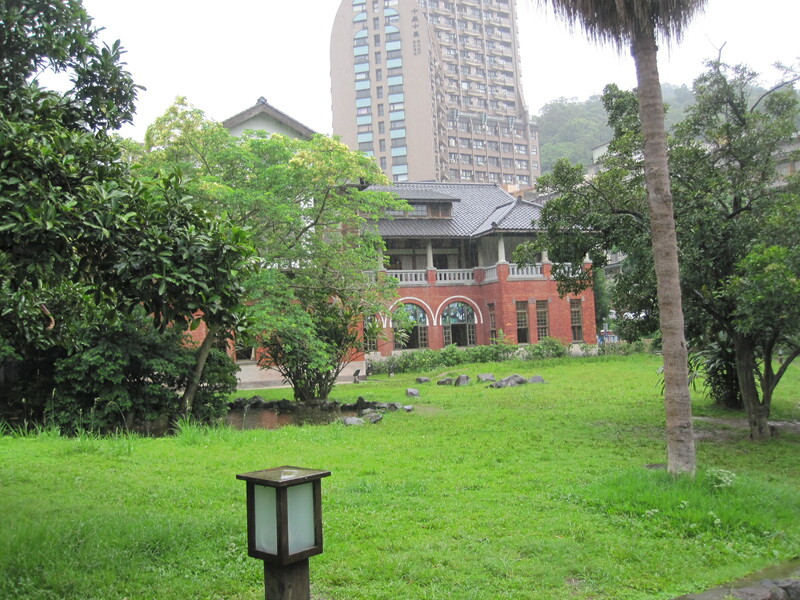 After visiting the Beitou Library, I walked across the park to Beitou Hot Spring Museum. 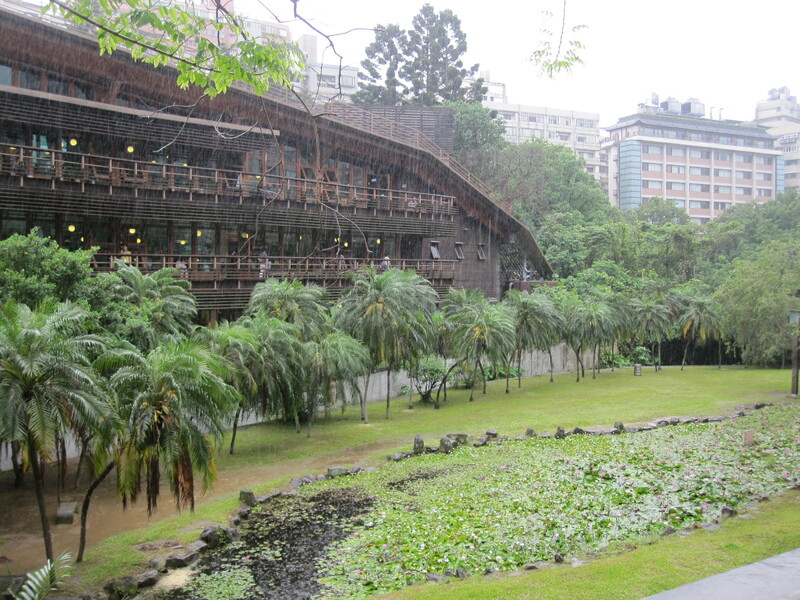 Beitou District is the northernmost end of Taipei City and is best known for the hot springs here. 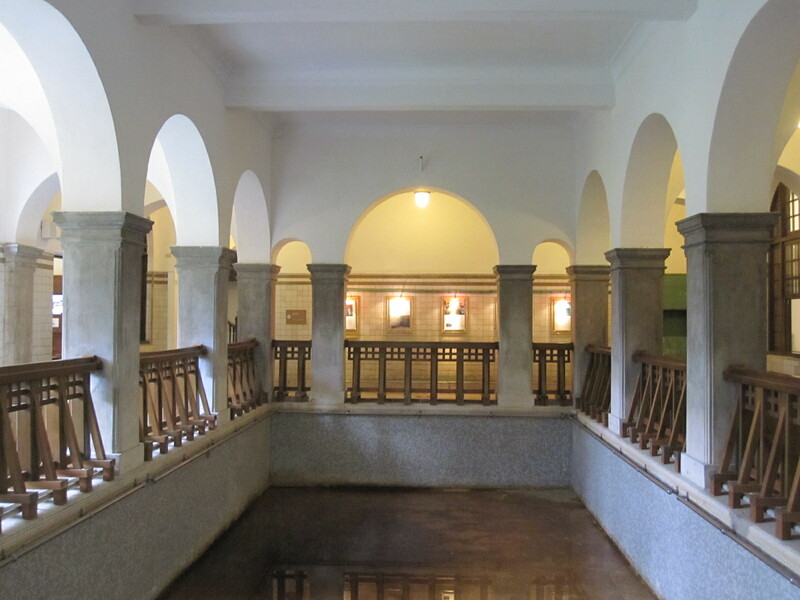 The museum was a public bath house built in 1913 by the Japanese Colonial Government. 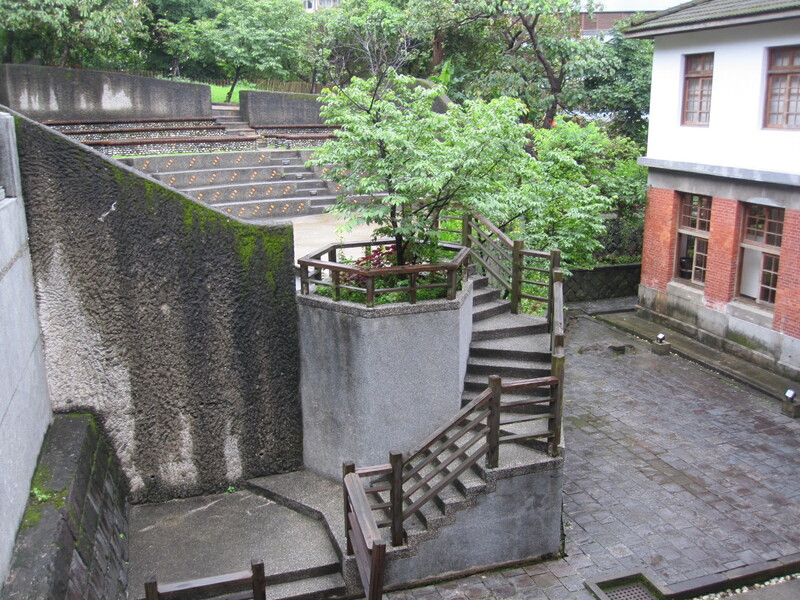 It became deserted until discovered by a group of teachers and students from Beitou Elementary School in 1994. 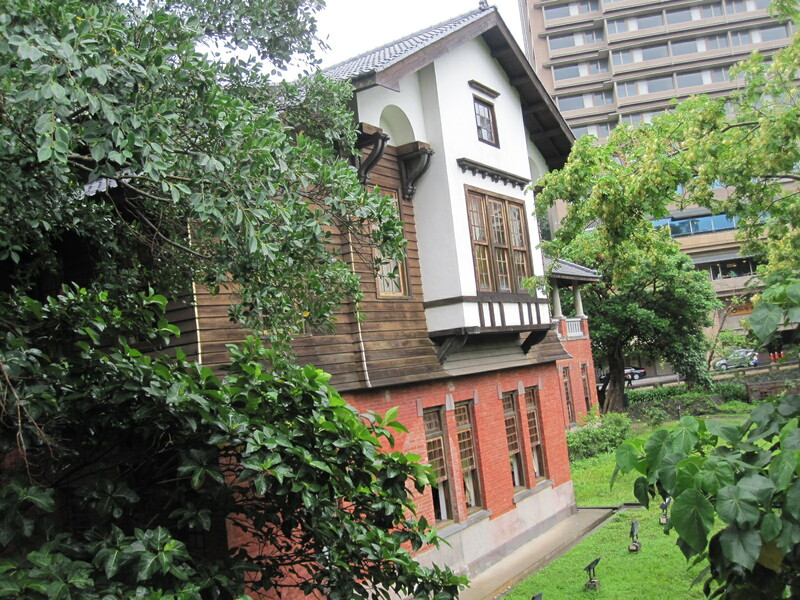 In 1997, the building was designated as a third-grade historical site and was transformed into the Beitou Hot Spring Museum after renovation. 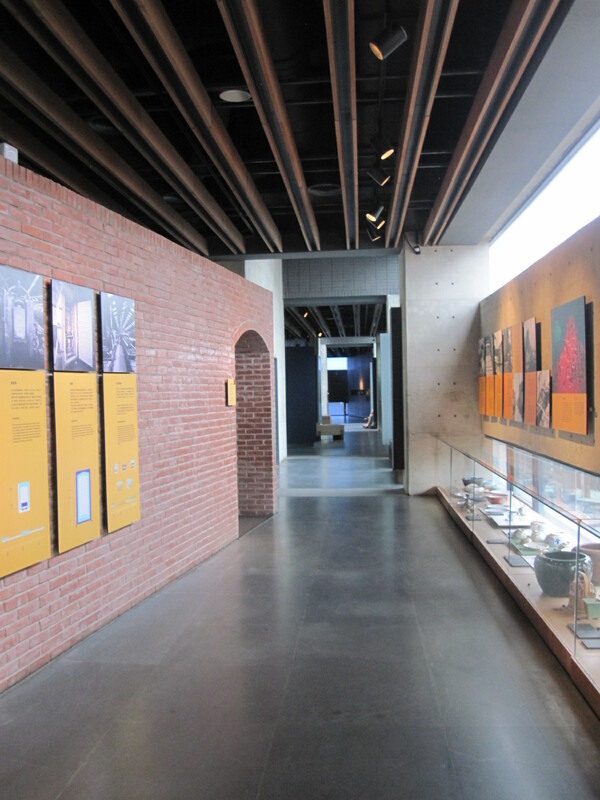 The entrance to the museum is located on the second floor. 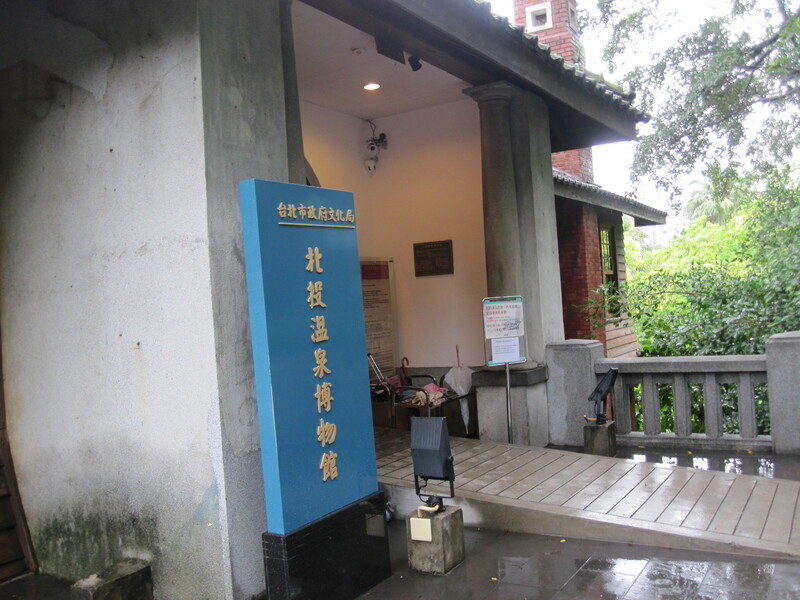 All visitors need to take off their shoes and put on the indoor slippers the museum provides. 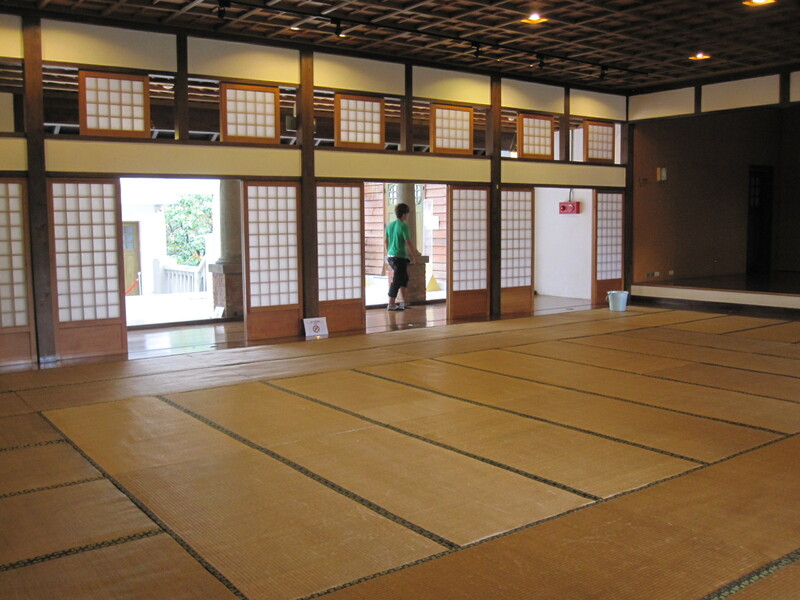 The main part of the second floor is the Tatami Lobby. 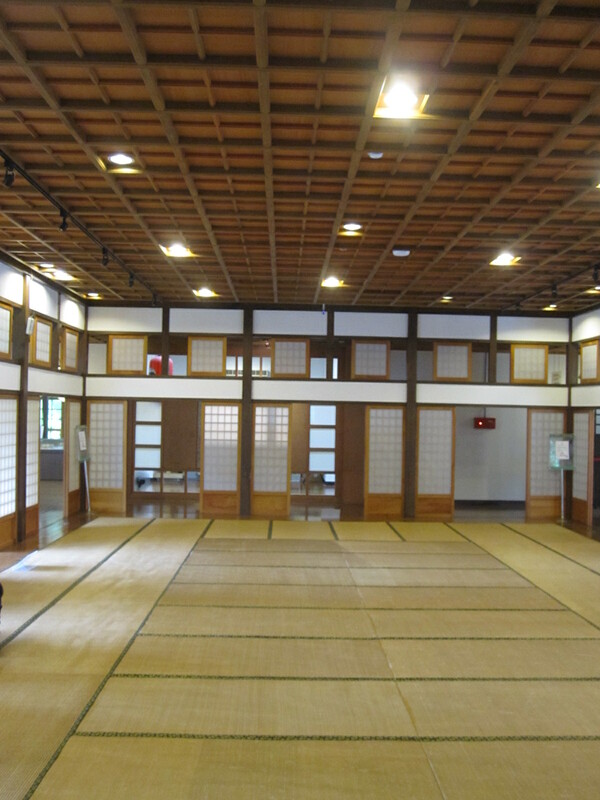 First floor was where the bathing took place. 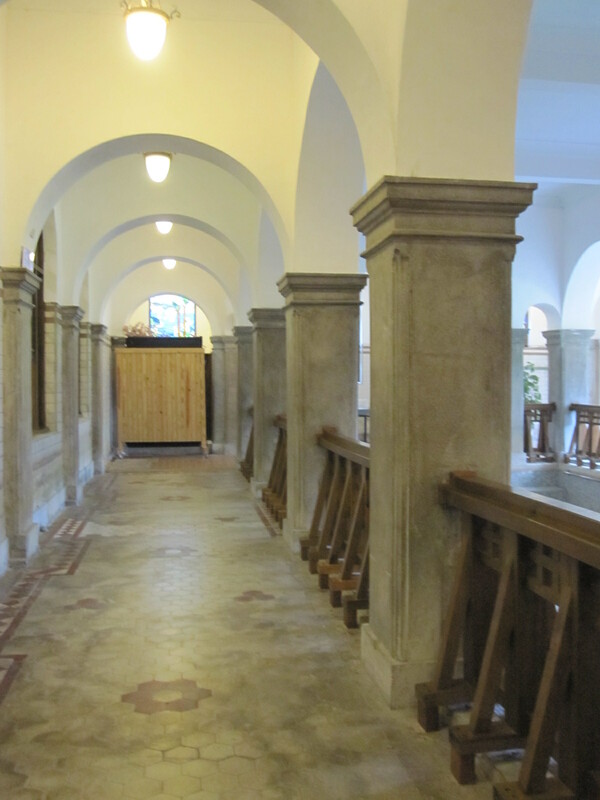 Originally there were changing rooms and separate baths for men and women. There were individual bathrooms and a rest area for the VIPs. 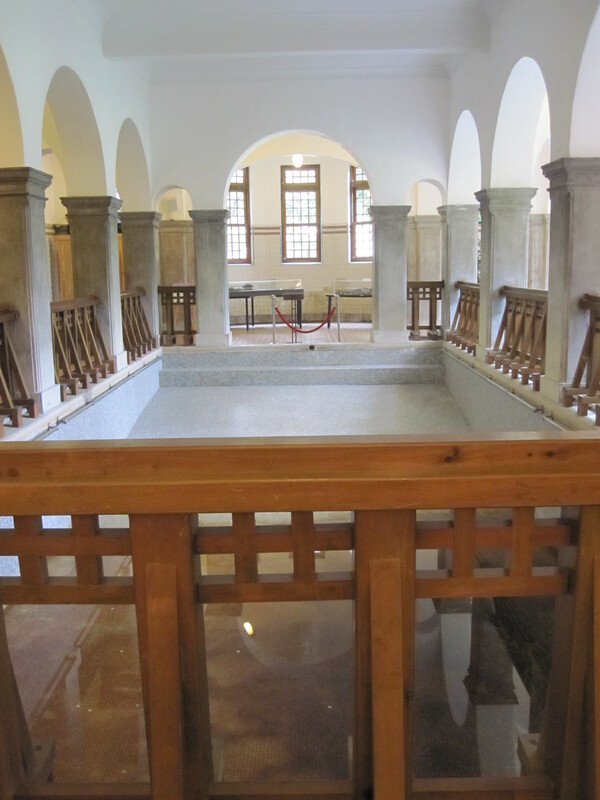 The Big Bath is surrounded by arches and columns. 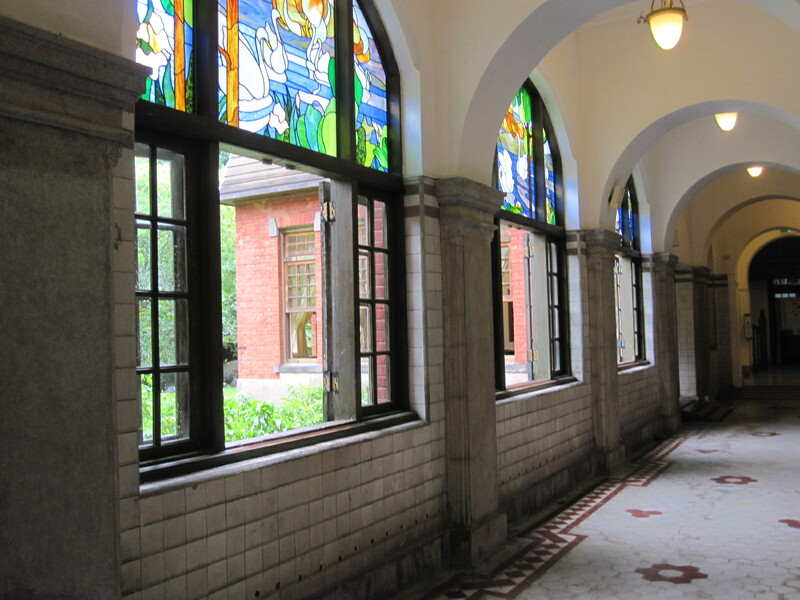 The Beitou Hot Spring Museum is such a beautiful building. The exterior of the building is in the Victorian style with brick and wood. There is a little amphitheater in the back. 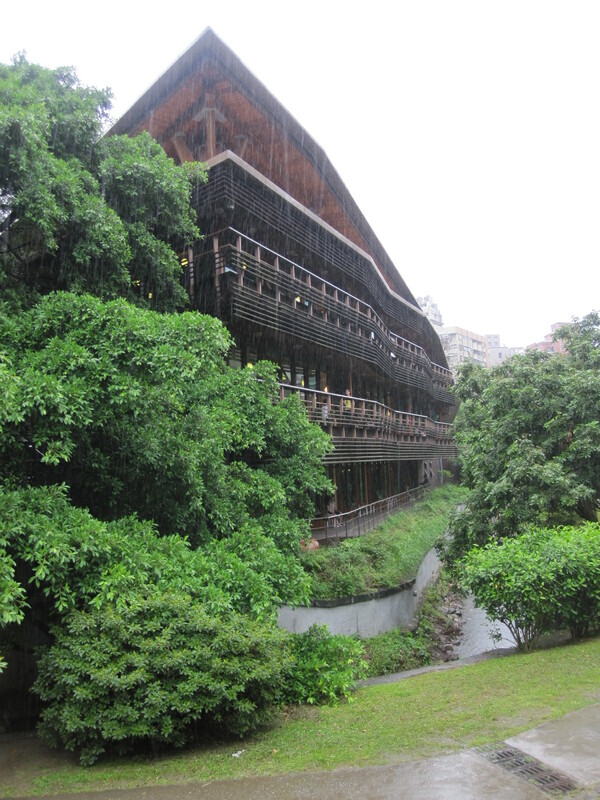 If you find yourself in Taipei, spend a relaxing day in Beitou. 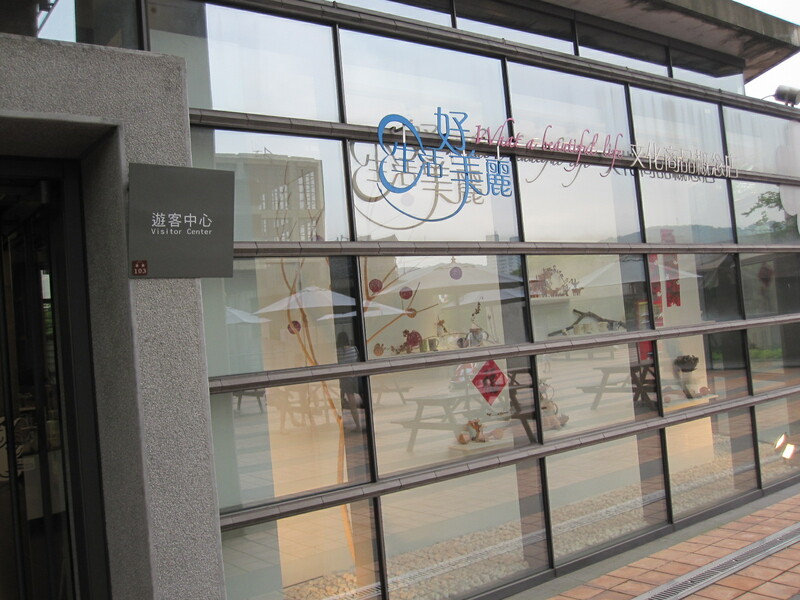 There are many hotels in the area to enjoy the hot springs. 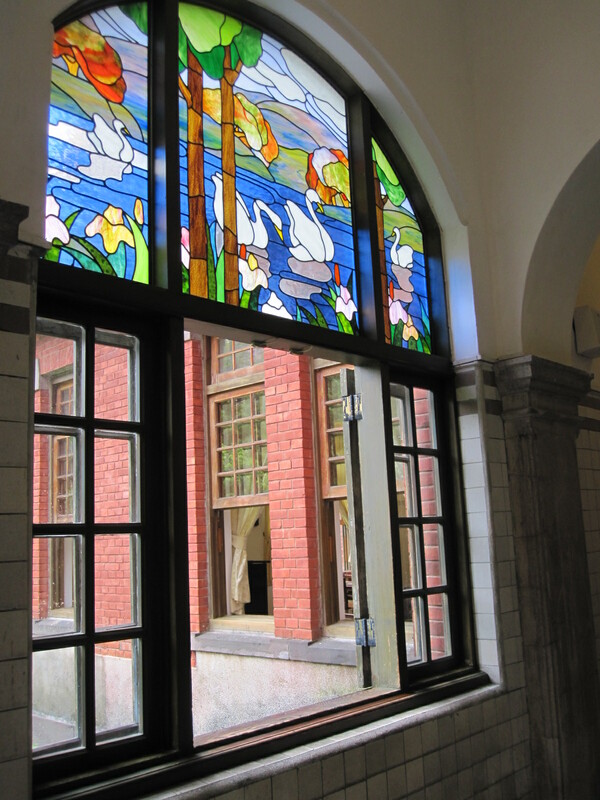 I was excited to see Taipei Public Library, Beitou Branch chosen by Flavorwire as one of ‘The 25 Most Beautiful Public Libraries in the World‘. I had to visit the library in person when I was in Taiwan last month. 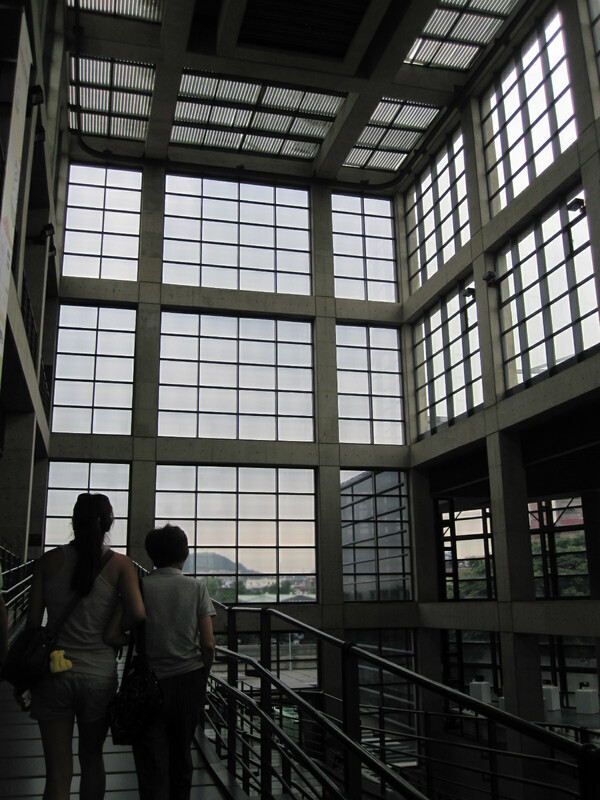 Taipei Public Library, Beitou Branch opened in 2006 and is the first certified green building library in Taiwan. 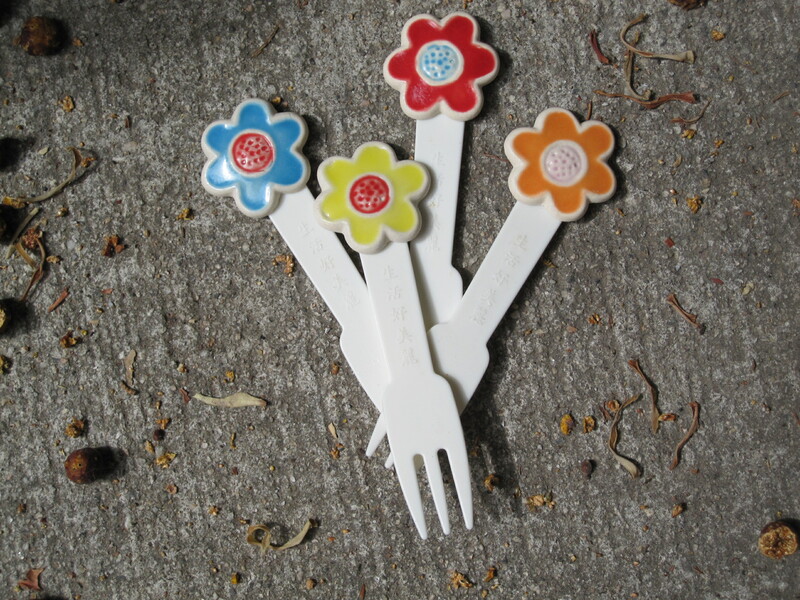 It has a large collection dedicated to ecological conservation. 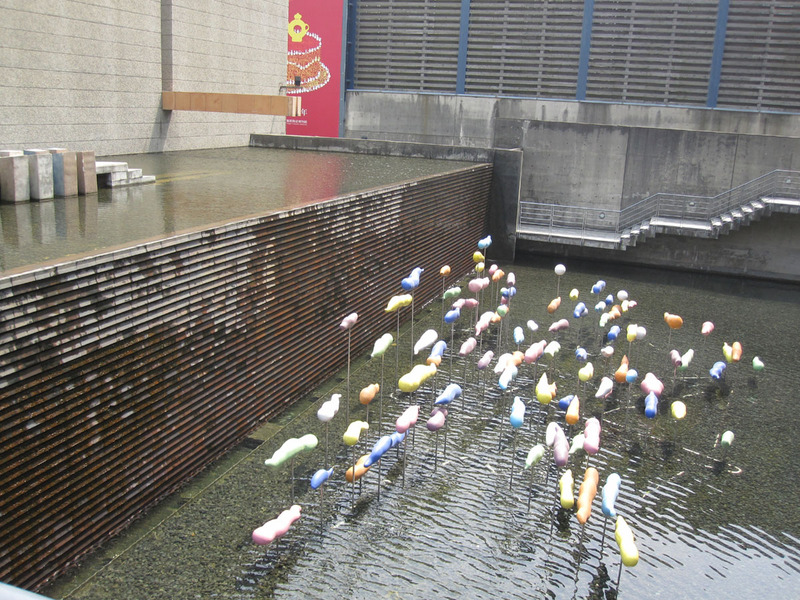 It was raining hard the day I visited. 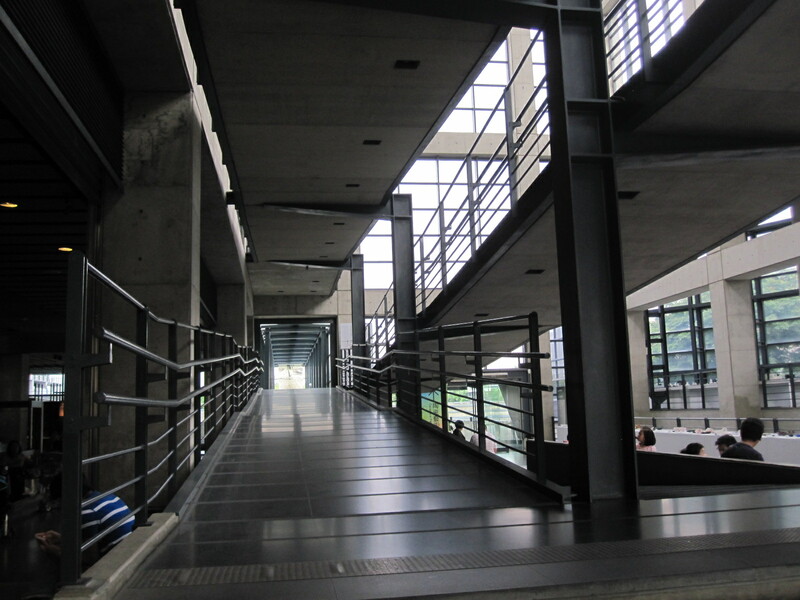 As I walked towards the building, I could see all the people in there reading quietly. It was a beautiful and peaceful view with the library standing in the rain in the wide open park. 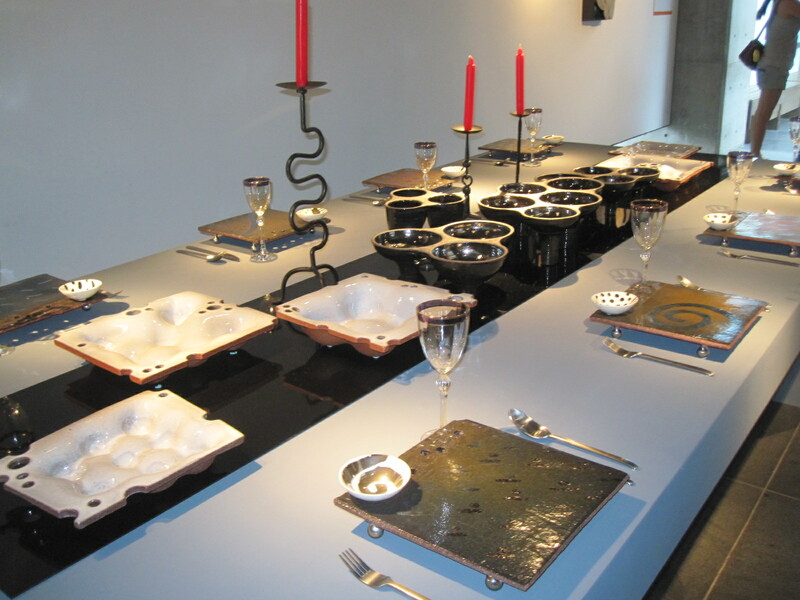 Once I was inside, I felt surrounded by nature as the furniture and most of the interior surfaces were wood. Bookshelves were below eye-level to create the openness of the space. All the windows were open. 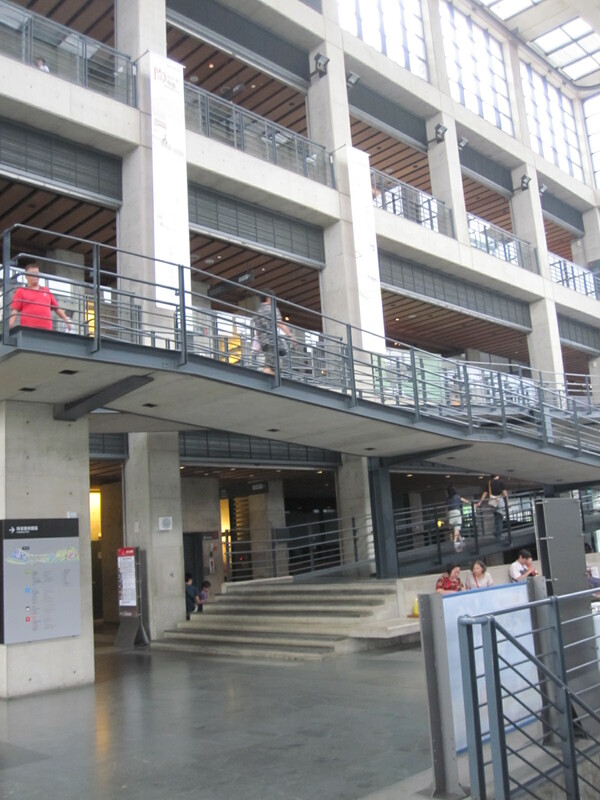 There are tables and chairs on the balcony for reading. I spent a couple of hours reading at the library. It was very pleasant morning. Chung-Yo is a department store in Central Taiwan. 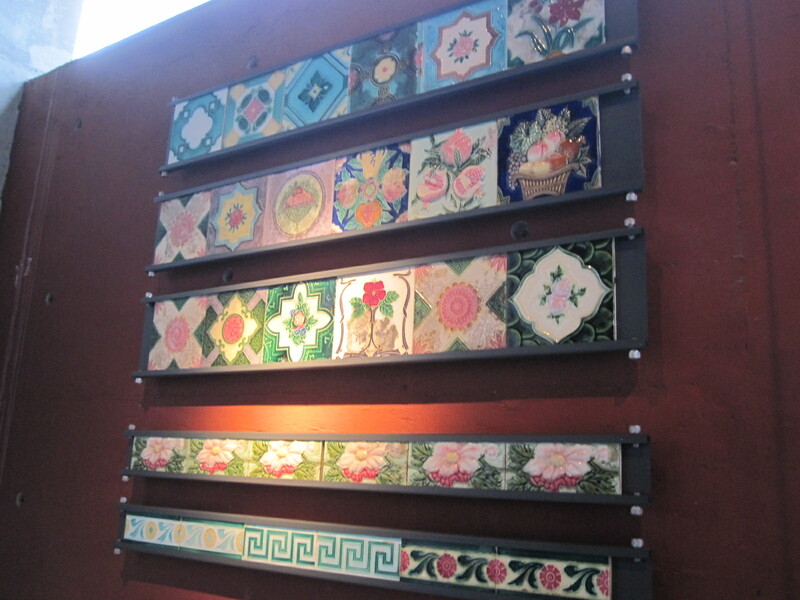 Its themed restrooms had gotten lots of attention and won many awards.